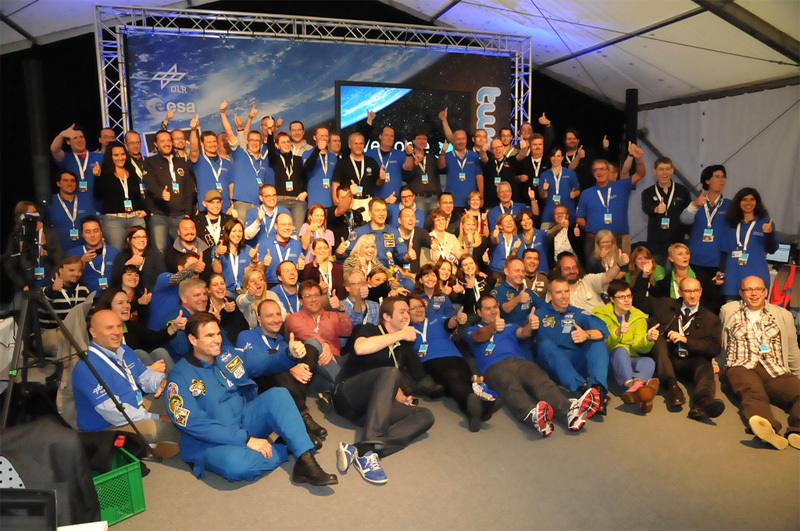 On 18th September 2011 the DLR (Deutsches Luft- & Raumfahrtzentrum, the german space agency) and the European Space Agency held the first European #Spacetweetup, which will be informally also known as #awesome #spacetweetup. 60 people from 13 countries were selected for this event – Olivia Haider from the Austrian Space Forum was one of them. – Read her story about an extraordinary event. 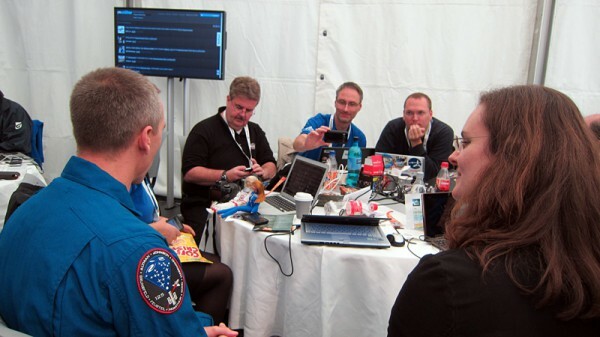 What exactly is a #spacetweetup? A tweetup is a real-life meeting of people who use the social network “Twitter”. 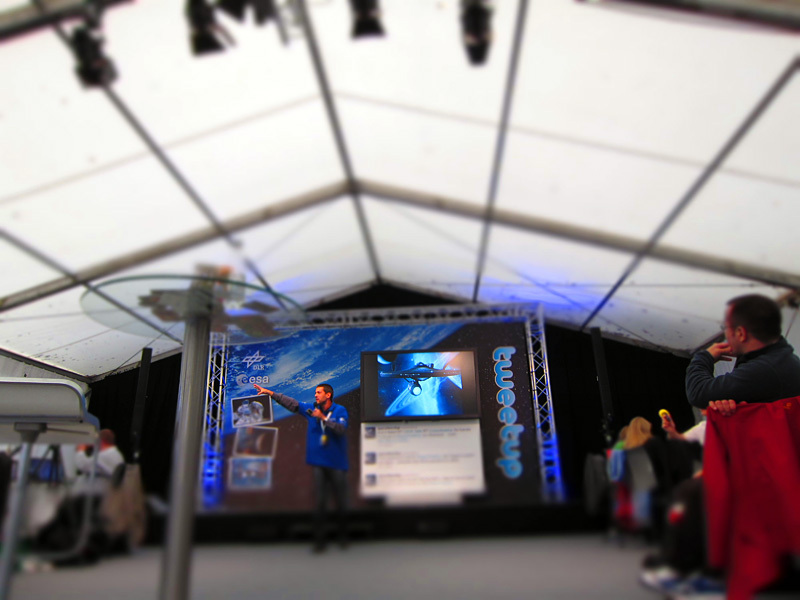 Therefore a #spacetweetup would mean a meeting of people who are using Twitter & are interested in space. Is a social network and microblogging service and allows user to send text-based post up to 140 characters, which are called tweets. Why do you use # characters in tweets? Words like #spacetweetup are called hashtag. With a hashtag tweets can be tagged and show up on trending topics website or can be searched online. This is must-attend event for me I thought, as I’m managing the social media strategy and tweeting for the Austrian Space Forum (OEWF). You’ll find me as @olidax and the OEWF as @oewf on Twitter. As I looked beforehand through the people who were selected to the #spacetweetup, I was sure, this event will be a unique event with great people, which share the same passion: space. And I wasn’t going to be disappointed. Early on Sunday morning a #spacetweetup bus picked us up & brought us to the tent 101, the tweetup tent, just across the European Astronaut Center building, where also part of the training of the European Astronauts takes place. So the chances were good, that we may encounter astronauts. 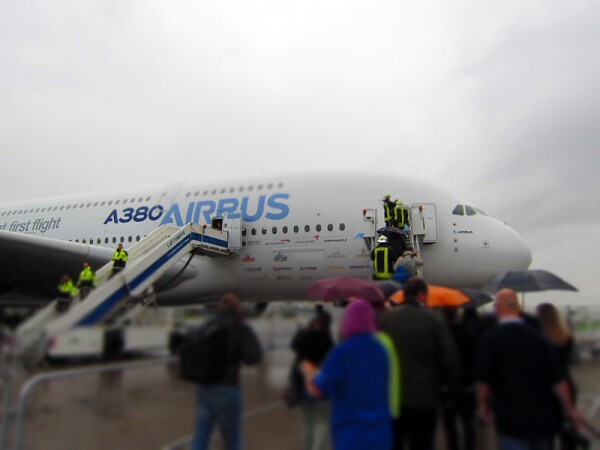 After installing our devices in the tent and sending out the first tweets & pictures, we rushed to the “Zulu” platform where the airbus A380 and the Sofia plane were waiting for us. It was raining like cats & dogs, but it was exciting to see these impressive planes from the out- and inside. Spacetweeps visiting A380. Quite heavy rainshowers. On the same day, the whole area was also opened for the public for the German Aerospace Day and the first visitors waited already in a long queue for getting in the planes. The A380 doesn’t look so big from inside, I was more fascinate how many cables they need in the plane. Sofia on the other hand is absolute astonishing. A flying telescope, I’m still impressed, that they can do science while flying & compensating all the turbulences etc. As we had to rush through the Sofia plane, we got an additional session with Alois Himmes, the project manager of Sofia from the DLR side. And now you’ll notice a difference to other events. Spacetweepers don’t look to the stage, where question to the Sofia telescope are answered. They seemingly ignore the presenter, they stare in their computers or other devices and listen at the same time. Some of the tweeps are translating the most important information in their native language in real-time, other post pictures or comment on tweets. A tweetup is always a multi-tasking event. Only astronauts can bring #spacetweeps to leave their tables. And we had to leave ours because Paolo Nespoli (@astro_paolo) and Cady Coleman (@astro_cady) entered the stage and shared their experiences with us. It shouldn’t be the only astronauts saying hello, but more of it later. During a short lunch break, I had the chance to meet Camila SDO (the NASA mascot for the Solar Dynamics Observatory @Camilla_SDO) and give her an OEWF pin. 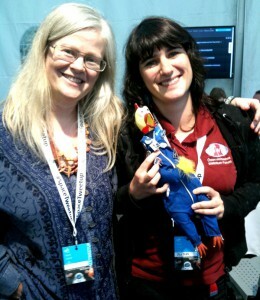 Doesn’t it look nice on the yellow chicken, who is helping NASA (@NASA) with education and public outreach? Then #awesomeness is coming back in the tent. During group photo time @astro_paolo is back and he brings some of his colleagues with him e.g. 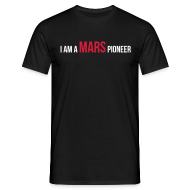 @astro_box (Gregory Johnson), @AstroIronMike (Mike Fincke), @Astro_Taz (Gregory Chamitoff), Drew Feustel …. The afternoon just rushes by with visiting the human centrifuge at the DLR, which pull up to 4.2 g’s and more astronauts crushing the #spacetweetup, talks about Rosetta and Philea mission. Both of the mission managers are here and answer our questions. We even have #nasatweetup organizers Beth Beck (@bethbeck) and Stephanie Schierholz (@schierholz) talking about their experiences organizing such an event. What impresses me most is, that even the 1st tweetup was a homerun. People signed up from across the state the first event (Note: for a tweetup you’ll have to take the cost of travel and housing on your own!). While the other #spacetweeps are enjoying a visit to the European Astronaut Center (I knew that one already fairly well) I grab my stuff to leave for my flight in Frankfurt. My conclusion: a great job accomplished by DLR and ESA! DLR and ESA did really a great job on organizing the first #spacetweetup on European soil. Having good WiFi, drinks and food during the day was a big plus. What I missed a little bit, is getting to know the other participants better. There was hardly time to network and at times, I had difficulties to identify people from their twitter accounts. Bigger badges with printed Twitter nickname and real name could help. The German Aerospace day, was a perfect event for the first tweetup, but for the second one there should be something different especially more enthusiastic presenters or alternatively a tweetup with a real “space” event e.g. launch of an European mission. The mix of the people was great, from journalists to NASA employees, from real space enthusiast to ESA staff – many different backgrounds were covered. I was impressed how much the space crowds contributed also beforehand: organization individual visits, #beerups, posters, banners, filling the #spacetweetup wiki with information, helping on finding an accommodation etc. It wasn’t “just” a great day it was really, really an #awesome day and I’m looking forward to the next #spacetweetup.